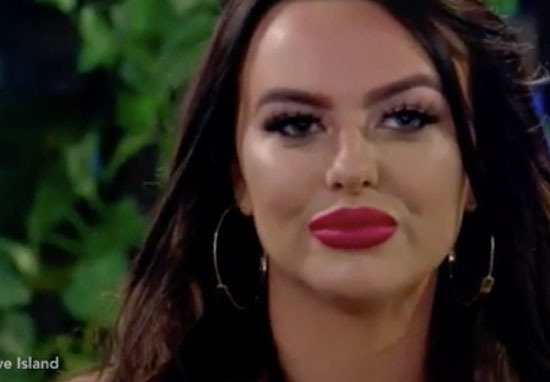 Love Island fans were left on a cliffhanger last night, (June 11), as the show ended before revealing what contestant Adam had done to upset Rosie. Love Island always leaves fans talking, but when the reality TV show ended on Monday night, with a look ahead to scenes yet to come, fans were desperate to uncover what Adam could have done to upset Rosie so much. Do you want to tell me something that happened today that maybe you should have had the balls to tell me about before? To which Adam says: ‘What you on about?’. Everyone else knows, you may as well share it. The group’s waiting. The series of events leaves the rest of the contestants with shocked faces, as the dramatic music kicks in to really complete the scene. Is someone hiding a secret? I don’t know why I’m not enough for someone? Since the episode finished, fans have been desperate to know what Adam has done. Some have made attempts to solve the mystery themselves, and have taken to Twitter to share their suspicions. For those wondering, Adam’s ex is Laura and they only stopped dating a month before going into the villa. This theory stems from the fact Megan decided not to choose Adam for any of her three dates. The suspense is so intense, Adam’s wrongdoings have developed their own hashtag – #WhatDidAdamDo. The Love Island community simply can’t wait to find out what Adam could have done to leave his fellow contestants so shocked, and Rosie so upset. Other fans just love the drama, which Love Island always has a healthy dose of. I don’t know what Adam did but I am LIVING for the fact that Rosie calls him out in front of the whole group!! Of course, Love Island always sparks rumours and gossip, so there may be no truth in any of these accusations? But regardless of whether any of them are true, I’m sure ITV will have an exciting twist in store for us tonight, especially as the big reveal is going to happen… #WhatDidAdamDo.